Talented web and mobile software developers will be highly sought after in 2017 as the Scottish tech industry continues its growth spurt. 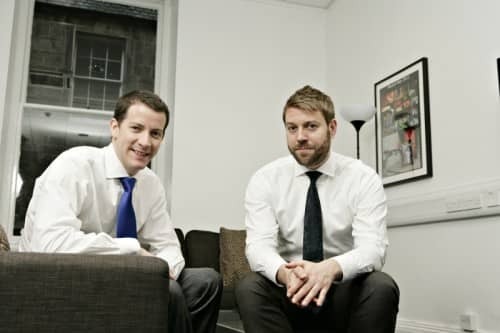 Gordon Kaye and Sam Wason, joint managing directors of specialist recruiter Cathcart Associates, have a unique insight into the hiring plans of many of the country’s top tech firms and they are predicting another busy year ahead. “From Skyscanner’s £1.4 billion acquisition and FreeAgent’s IPO to the news that Edinburgh has been voted the best place in Europe to start a digital business, 2016 has been a big year for Scottish tech,” said Gordon Kaye. According to Kaye and Wason, growth areas include FinTech, the mobile market – as an increasing number of graduate developers begin to seek jobs in the industry – and big data, which is now much more accessible to companies in the UK thanks to the strides being made in technologies such as Splunk, Hadoop and Hive. Cathcart Associates are specialist IT recruiters focused on recruiting high calibre IT professionals into a wide range of exciting, fast-paced roles within the tech industry. Founded in 2009, the firm is headquartered in Edinburgh with offices in Manchester, Hamburg and Bangkok.